Back view of ""Grange Hall School,"" probably late 1880s. Probably Prof. Evans. Gift of Edith Bickner Brown. OA#111. Description Pin holes, tears, and broken corners; mounted on cardboard. 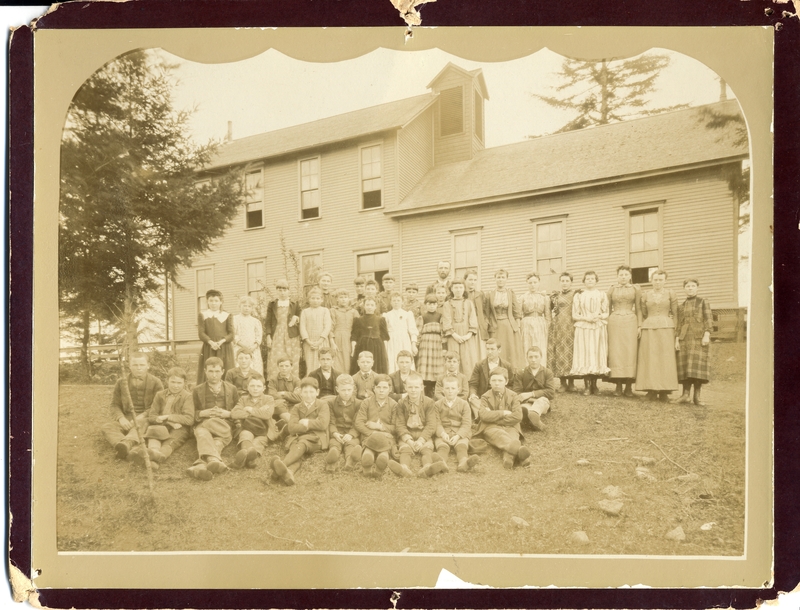 Same as 314 a, b, c & d.
Transcription Back view of ""Grange Hall School,"" probably late 1880s. Probably Prof. Evans. Gift of Edith Bickner Brown. OA#111.